Is that it, I thought the changes would have been a bit, well , more Leon style daytime LED lights in the front ?? Audi Bairn and KenL like this. Just saw some spy shots slightly different to these ones, it does look like an interesting design. These pictures tell you absolutely nothing. Audi Bairn and jassyo06 like this. 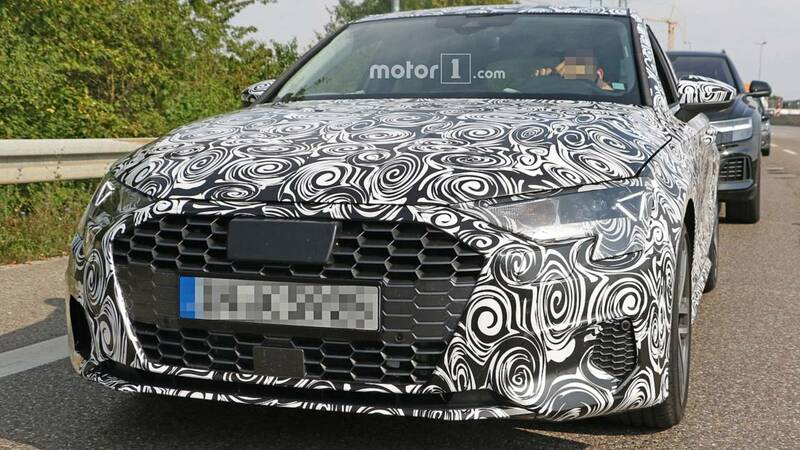 It is interesting and nice to see that they are giving the non-RS models honeycomb grills as well (which we could have guessed based on the new A1 and the facelift TT). Honeycomb grill could just be a stuck on fake. For me honeycomb grills are cheap plastic and don't look great. Had on on my 2009 (yes they're that old school) Cooper S and though it looked cheap compared with the standard grill. I highly doubt honeycomb grill is fake. The TT and TT-S facelift got honeycomb grill. The new A1 also got a honeycomb-like grill instead of typical Audi bar grill. I think that is the direction Audi is heading towards going forward for the non SUV cars. Disappointing. So many cars have these, thought Audi was meant to be different and premium. I am more disappointed with their touch-screen only direction with all their recent launches. The physical buttons and MMI dial are much more premium and easiser/safer to use while driving. Bells, AllStar, Jimbob76 and 5 others like this. KenL and jassyo06 like this. Flying Scotsman, Audi Bairn and q5man like this. Audi Bairn, jassyo06 and KenL like this. That could be the spy shots from a few years ago. But, got to say, I'll be quite pleased if they don't change the A3 too much from the current one. Don't like Audi's design language of their recently launched cars. There does look to be a huge crease line down the side of the car. Not sure that is necessary. A crease for crease sake by the looks of it. I've noticed that with mine, the R32 doors were nice and solid! I'm so glad it got proper exhausts and not of that like on the new SQ5. Unsure about the new headlights design, mite grow on me, i guess. They also reckon the new Saloon won't be out until 2020 which will be about right for me as i will be looking to exchange then. I do like the look of the Touchscreen on the new Audi models but i hate fingermarks! i will be cleaning the screen after every journey, my OCD. I was really hoping they would bring back the 3dr A3, the S3 hatchback looked so much better in 3dr and I've always had a preference towards 3dr A3's. I'm also not a fan of the back of this new one, looks a bit like the old A1. If all cars get a RS grille what will they do for the RS?! Who says that there will be another??? Totally agree re the external looks of the A/CLA mate, imho the CLA especially has one of the fugliest rear ends going. We will know how it'd go if and once the new facelift TT-RS launches. I am not sure. I am just saying that if there is a facelift TT-RS, we can then determine Audi's direction for the grill difference between RS and A/S models now that non-RS models are most likely going to get honeycomb grills. I like the look of the spy shot S3. It's grill does not look disproportionately large like the current face-lift S3, and A3 with S-line. Nor does it have that ugly smiling lip induct beneath it which has plagued the face-lift S3 and A3 with S-line. I'm sort of not liking how the shape of those headlights are going to look, there is too much going in the bottom right portion of that light shape, it needs to be slimmed up a bit. 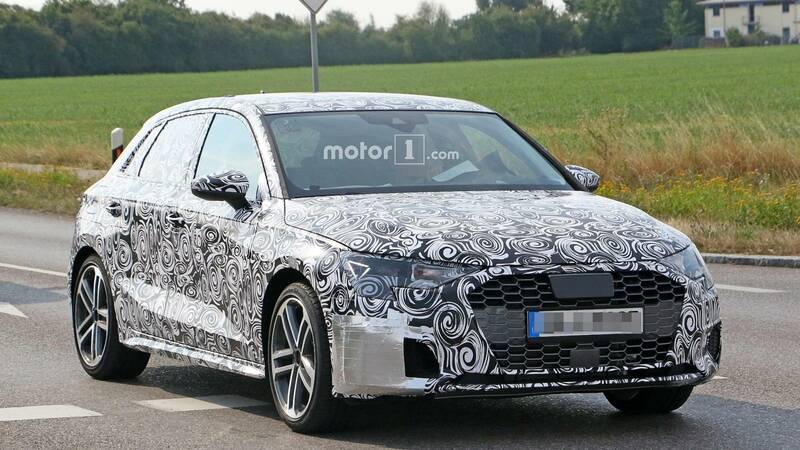 Not that much different in design, wheel arches are better.....frigging ugly alloy wheels...hope the 4 exhaust pipes stay as shown on the spy shot and not the cosmetic designs that are plaguing most new German designed cars. I would like to see a saloon spy shot as most know my aversion to hatchbacks/SUVs, practical though they are.